Love chile and hot foods? Are you the barbeque king? More than just a little brave? 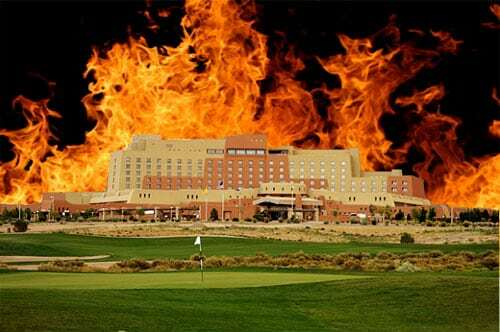 Then come visit us at our DIRECTV booth at the 26th Annual Fiery Foods & Barbeque Show being held this coming weekend, February 28th to March 2nd, at the Sandia Resort and Casino. Its the hottest show on earth! You will get to taste the hottest peppers and the tastiest barbeque sauces anywhere. You will also get to see Guest Chefs doing cooking demos & tasting in the grill off tent. This year they are featuring Chef Norman Van Aken on Friday night at 6pm. Dont miss it. Make sure you catch the excitement and try all of the hot foods. 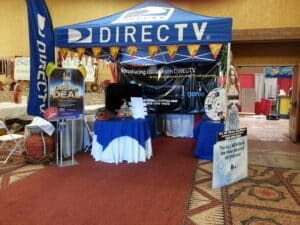 Come visit us at our DIRECTV booth at Fiery Foods and get cool DIRECTV swag AND incredible deals on DIRECTV that you cant get anywhere else. I wish I could tell you what the great deals are going to be, but then we wouldn’t get to see you with your head on fire from all the fiery foods! So come by the booth, get some prizes and the best deals on DIRECTV anywhere. Come down and visit us at booth # 625 and take advantage of these show only specials.